Karl-Anthony Towns looks like a lock for No. 1, but the rest of the 2015 NBA draft is up for grabs. There is a very real chance multiple teams could trade out of the top 10. The Knicks, Kings and Hornets are all open to a trade, and Denver is unpredictable. Several executives say it is as volatile of a top 10 as they have seen in years. Is DeMarcus Cousins available? On Monday, that answer was no, as Kings owner Vivek Ranadive and vice president Vlade Divac publicly vowed Cousins wouldn’t be dealt. Today? Different story. Yahoo! Sports reported that Kings coach George Karl has been leading the charge to move Cousins out of town; Cousins reacted to the report by tweeting emojis meant to depict a snake in the grass. Has Karl forced the teams hand? Is the relationship salvageable? The Lakers have been in hot pursuit of Cousins (more on that below) and will likely spend the next two days constructing trade scenarios for Sacramento. Et tu, Boston? Celtics GM Danny Ainge isn’t shy. Armed with multiple picks, the Celtics are in a strong position to move up. What is Philadelphia up to? That’s what several executives have asked in recent days. It’s hard to believe the Sixers would take Kristaps Porzingis, not with a gaping hole at point guard and Russell, who is well liked in the organization, on the board. More likely: Philadelphia is trying to manipulate the Knicks or Magic to trade up for Porzingis. You know Sixers GM Sam Hinkie loves collecting draft picks. Rumors of an Eric Bledsoe deal with Phoenix don’t appear serious at this point, though several rival executives say the Knicks are willing to deal. If they don’t, Porzingis has a lot of support amongst Knicks execs. A Porzingis pick won’t be popular amongst Knicks fans—he’s at least two years and a lot of weightlifting away from offering much of anything at the NBA level—but he has enormous offensive potential. Emmanuel Mudiay and Willie Cauley-Stein remain in play here, too. The Magic covet Porzingis—and sources say Orlando is the preferred destination of Porzingis’s camp—but it’s looking likely the Magic will have to trade up to get him. Winslow is a reasonable alternative. The Magic backcourt is crowded but a defensive minded swingman who has been favorably compared to Jimmy Butler is tough to pass up. European guard Mario Hezonja is another option. The Nuggets have done extensive research on Hezonja, a flashy two-guard with a solid all-around offensive game. Hezonja is a polished scorer who can score both in transition and in the half-court, two qualities that will make him immediately valuable in Mike Malone’s system. Stan Van Gundy has made it clear: Unless a superstar is available, the Pistons will keep the pick. Van Gundy says the team won’t draft for position; they will take the best player on the board. That could be Booker, a young (18) sweet shooting two guard who will need seasoning but could turn into a high level starter down the road. I'm hearing mixed messages out of Indiana. Team president Larry Bird likes Willie Cauley-Stein, but there is strong support for Payne, a dynamic playmaker who thrives in the pick-and-roll. The Pacers have been looking to get more athletic at the point guard position, and Payne fits that bill. Several lottery teams like Hunter; who will be the one to pull the trigger? Utah could use a big like Willie Cauley-Stein or Trey Lyles but with its starting five set, and with an obvious need for perimeter shooting, Jazz GM Dennis Lindsey is in a position where he can afford to take a risk. Hunter has wowed coaches with his shooting at workouts; defense and lower body strength questions are what push him back on most draft boards. Yes, the Suns already have a center. And, yes, Cauley-Stein is not the offensive-oriented big they sorely need. But Cauley-Stein is one of the lowest risk players in the draft. He’s an elite defender who several scouts have compared to Tyson Chandler—with even more mobility on the perimeter than Chandler has. Simply put, Cauley-Stein could be too tempting to pass up. Trey Lyles will be appealing here, too. The Thunder has shopped Perry Jones, Jeremy Lamb and Steve Novak, according to sources, largely for financial reasons, but OKC has been probing teams for draft picks in return. Rival execs believe Oklahoma City covets Payne here, but if he is off the board Kaminsky is an offensive-minded complement to a Serge Ibaka/Steven Adams front line and could play alongside Enes Kanter in a rarely seen scoring front court in OKC. Kaminsky’s ability to match up physically against bigger 4-5 men is a common concern. Celtics GM Danny Ainge is one of the most aggressive executives during the draft process. Boston would love to move up, and they have engaged at least one top-10 team, per a source. One GM said the Celtics “are one of the few teams thinking big.” How big? Two executives who have spoken to Boston's front office say no one is untouchable on the roster. If the Celtics stay put, Oubre looks to be the best player on the board. Bucks GM John Hammond says Milwaukee will take the best player on the board, and that there are 4-5 players the team has zeroed in on. Power forward isn’t a position of need for Milwaukee, but Portis is a high motor player who does a lot of things well, including knocking down perimeter shots. The Rockets have engaged a few teams in trade talks and are willing to move back—or even out—of the first round, per several rival executives. Grant is the one of the most seasoned playmakers on the board; he can backup Patrick Beverly and has the size to play alongside him. Predicting Lyles's draft stock has been tricky. He underachieved last season, but teams love his talent and openly wonder if he will thrive outside of the shadow of Karl-Anthony Towns and Willie Cauley-Stein. He could go as high as No. 10. Lyles played out of position at Kentucky last season, which contributed to his defensive woes, but scouts are skeptical that he has NBA-level athleticism. It’s an NBA axiom: power forwards should be shot blockers or three-point shooters—or both. At this point, Lyles is neither. The Mavericks are point guard shopping (again) and Jones is one of the best prospects. Jones isn’t especially big or athletic but he’s an intelligent playmaker—a quality Rick Carlisle would love to cultivate. The Bulls crave offense, but Hollis-Jefferson has been impressive in workouts and his ability to defend at an NBA level is undeniable. Short term, Hollis-Jefferson will be limited to scoring in transition. If his offensive game can be developed, he’s a steal here. The Blazers—with Wesley Matthews and Arron Afflalo headed to free agency—need perimeter depth. Anderson is an elite defender who shot the ball well from three-point range last season at Virginia. If he can be a threat from three in the pros, he’s a nice pick here. Last June, the Spurs drafted Kyle Anderson, a long, unselfish playmaking prospect. Wright is carved from a similar mold and, at 22, won’t face as much of a learning curve. Cliff Alexander could be tempting here, too. The Lakers need a guard and Rozier is one of the best available. More scorer than playmaker, Rozier will have to learn to be more of a distributor at the next level. But he has good physical tools and could develop into a productive Jamal Crawford-type off the bench. It wasn’t long ago that Alexander was considered a lottery pick. A turbulent season at Kansas put an end to those thoughts, but there is no denying Alexander’s potential. He’s a big, physical shot blocker who plays well off the ball. At the back end of the first round, Alexander is a worthy risk. No team beat the odds quite like the 1993 Magic, who, after barely missing the playoffs at 41-41, made good on their 1.5% chance (1 Ping-Pong ball out of 66) to claim the top spot for the second consecutive season (they had snagged Shaquille O'Neal in '92). 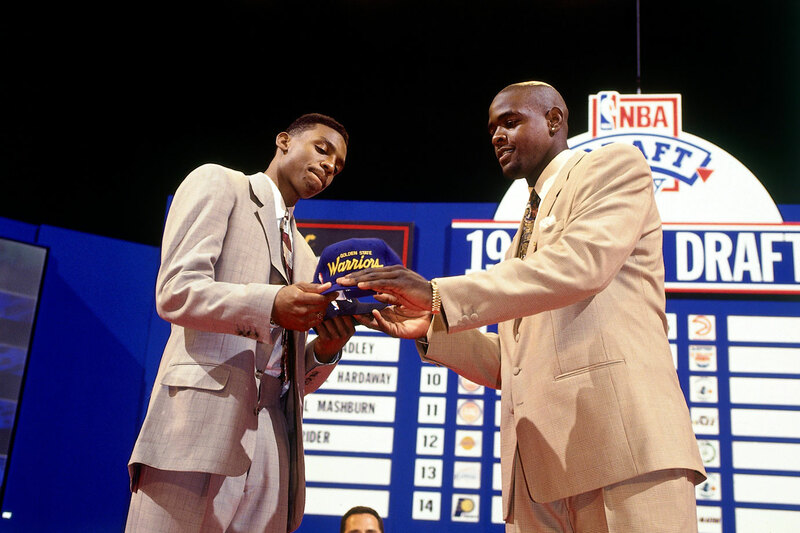 Orlando wound up selecting Chris Webber and trading him to Golden State for third overall pick Penny Hardaway and three first-round picks. Two years later, Shaq and Penny led the Magic to the NBA Finals. After the Warriors delivered on their 9.4% chance, then-general manager Dave Twardzik said, ''Whoever you take, some people are going to say, 'How could pass on this [other] guy?' 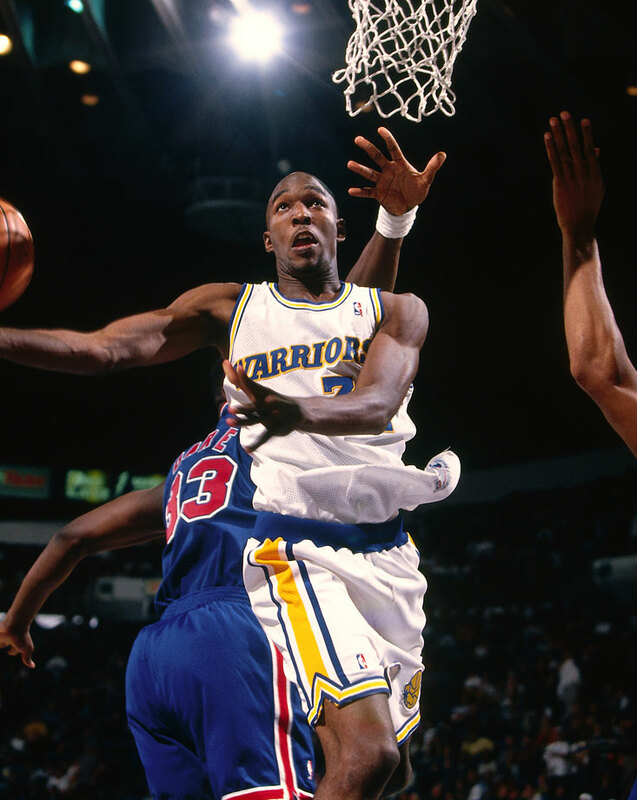 '' Twardzik experienced the second-guessing first-hand: The Warriors chose forward Joe Smith while the rest of the top five was Antonio McDyess, Jerry Stackhouse, Rasheed Wallace and Kevin Garnett. Smith went on to play for 12 different NBA teams over 15 years, never once named an All-Star. Pegged to draft seventh after a 31-51 season, the Nets instead cashed in on their 4.4% chance of winning the lottery. 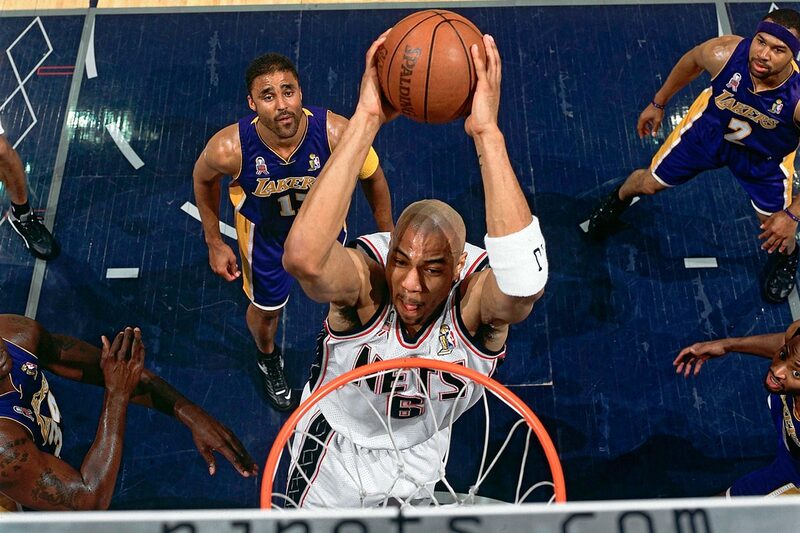 New Jersey picked forward Kenyon Martin, who proved to be a key part of back-to-back Finals teams in 2002-03 before being shipped to Denver as part of a sign-and-trade deal in 2004. An 8.9% chance was enough for the Rockets to leapfrog four teams and win the Yao Ming sweepstakes. 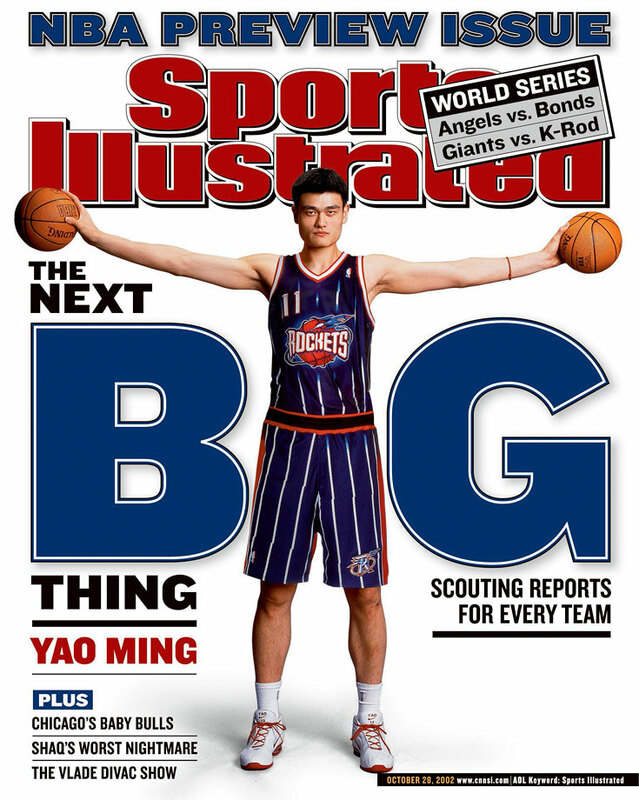 Yao was productive when healthy, but the healthy part didn't happen nearly as much as Houston would have hoped. The 7-6 center retired in July 2011 after nine seasons in which he averaged 19 points, 9.2 rebounds and 1.9 blocks. The Bucks, with a 6.3% chance, jumped from sixth to first and selected center Andrew Bogut ahead of point guards Chris Paul and Deron Williams. Bogut spent seven years with the Bucks, where he led the league with 2.6 blocks in 2010-11, before being traded to Golden State in 2012. General manager Bryan Colangelo entered his first draft in Toronto with the biggest prize after the Raptors vaulted to the top despite only an 8.8% likelihood. 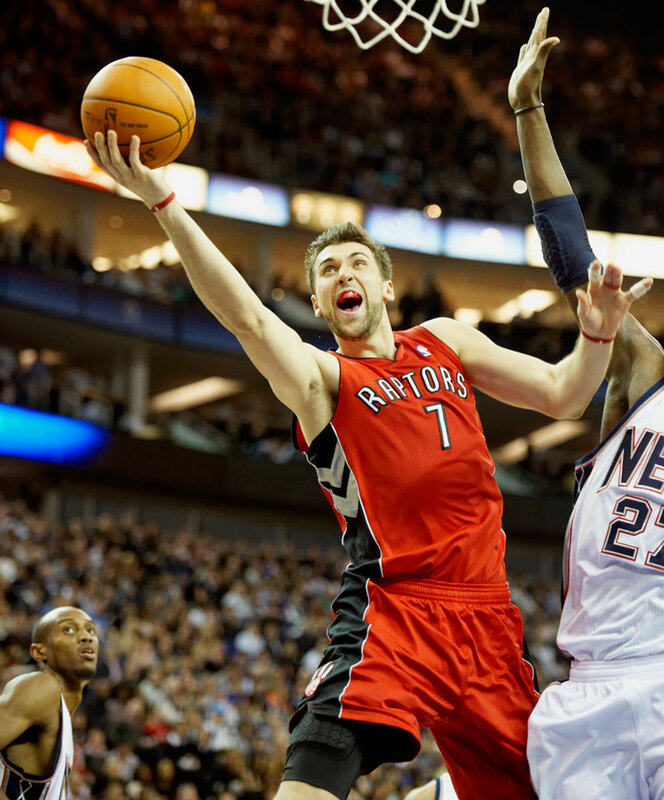 The Raptors used the choice to make Italy's Andrea Bargnani the NBA's first European No. 1 pick. Bargnani averaged a career-high 21.4 points in 2010-11 and followed that with 19.5 points in an injury-shortened 2011-12, but he's been criticized for his defense and rebounding. In 2013 Bargnani was traded to the Knicks, where injuries have kept him off the court more often than not. The Nets signed Bargnani to a multi-year contract in 2015, only to waive him in Feb. 2016. While the teams with the three worst records — Memphis, Boston and Milwaukee — got the fourth, fifth and six picks, Portland won the lottery with its 5.3% chance. The windfall didn't pay off, however, as the Trail Blazers passed on Kevin Durant in favor of Greg Oden, who played only 82 regular-season games over his first five seasons because of persistent knee injuries. 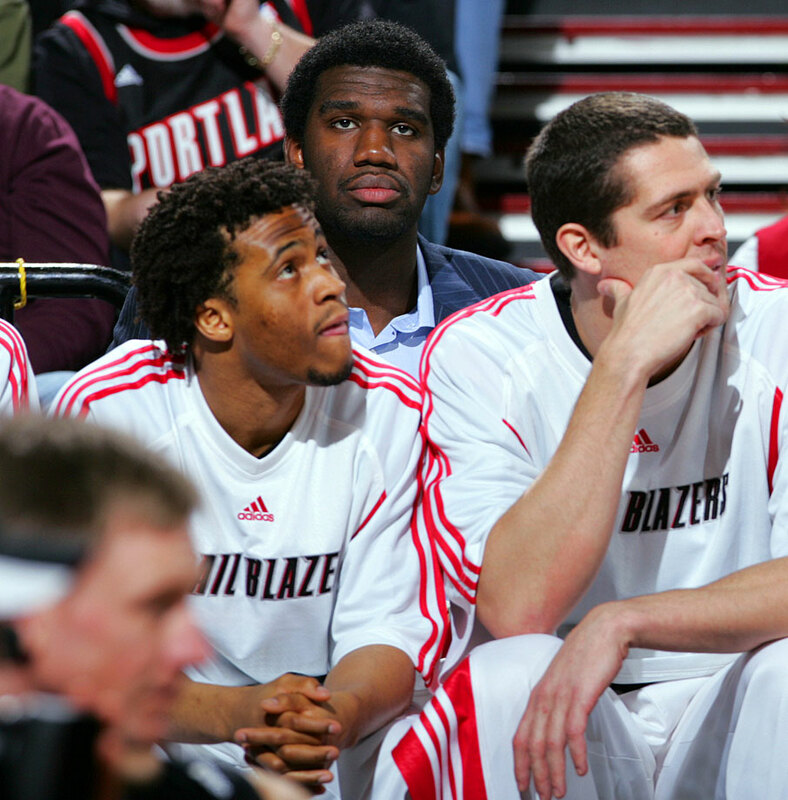 The Blazers waived Oden in March 2012 and after a brief stint with Miami two years later, Oden hasn't played since. The Bulls turned their 1.7% chance into the first pick. 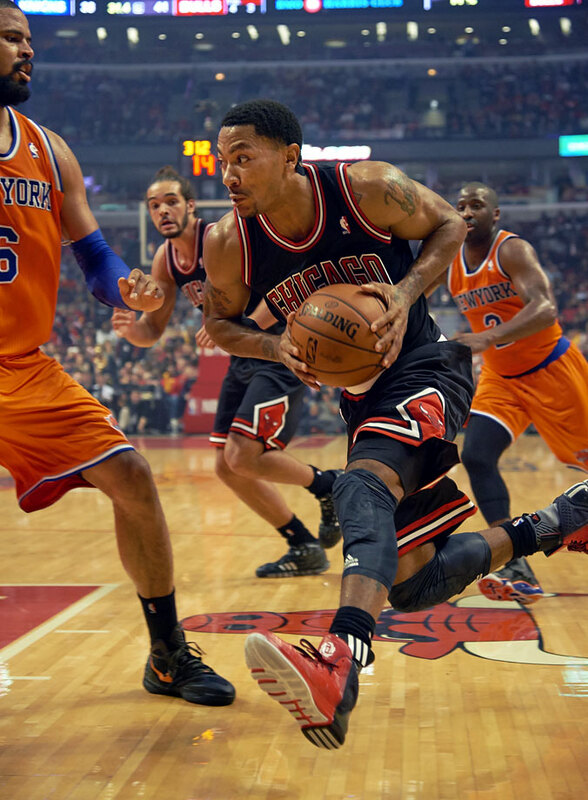 Chicago selected native Derrick Rose, who was the 2008-09 Rookie of the Year, the league MVP in 2010-11 and a three-time All-Star. Since May 2012, however, Rose has undergone three knee surgeries which have caused him to miss a significant amount of time. The Cavaliers used the pick obtained in a trade with the Clippers to win the No. 1 pick despite just 2.8% odds. 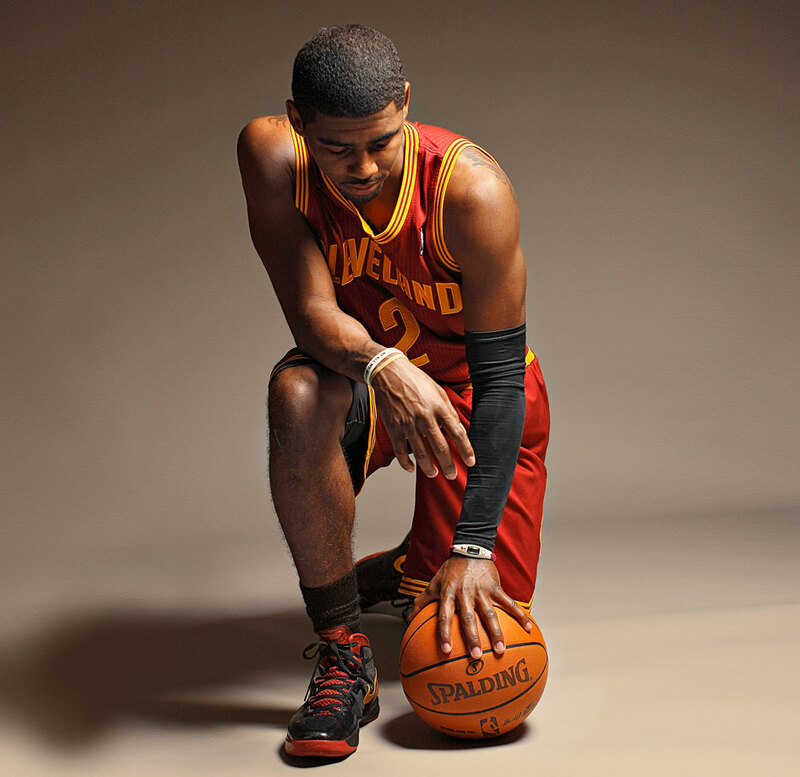 That put them in position to draft Duke point guard Kyrie Irving, who turned into the Rookie of the Year and the centerpiece of their post-LeBron rebuilding effort. The 2013, '14 and '15 All-Star was given some help entering the 2014-15 season with the signing of free agent LeBron James. Eight teams had better odds than the Cavaliers, who lucked out yet again with just a 1.7% chance this time. Their selection of Andrew Wiggins parlayed into a trade with Minnesota to acquire Kevin Love two months later. 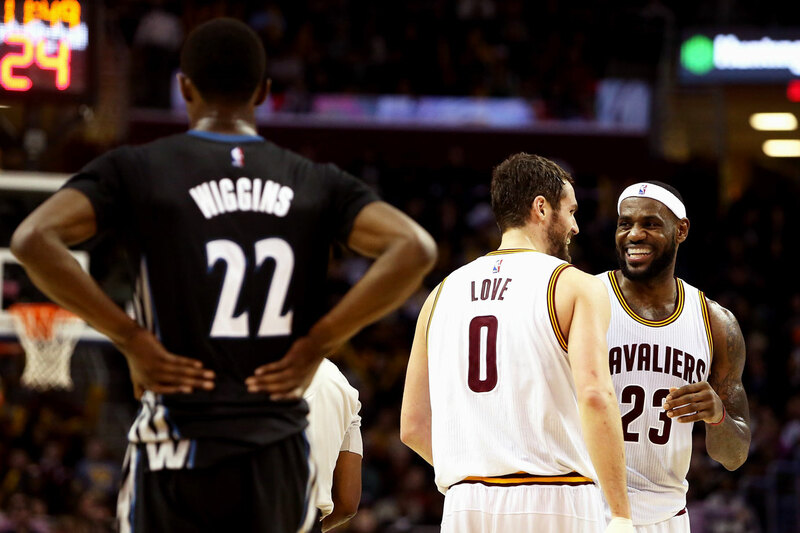 Wiggins went on to win Rookie of the Year with the Timberwolves while Love's numbers dipped with the Cavs and he suffered a dislocated shoulder in the team's 2015 first-round sweep of the Celtics.